As mentioned in yesterday's Hotfix, we have made some changes to the Arcane Manager screen to alleviate confusion when Upgrading. We will continue to monitor this for further necessary changes! When Upgrading an Arcane, you can now specify to what level you want to Upgrade it to. When Upgrading an Arcane, you can now do multiple Ranks in a single operation. 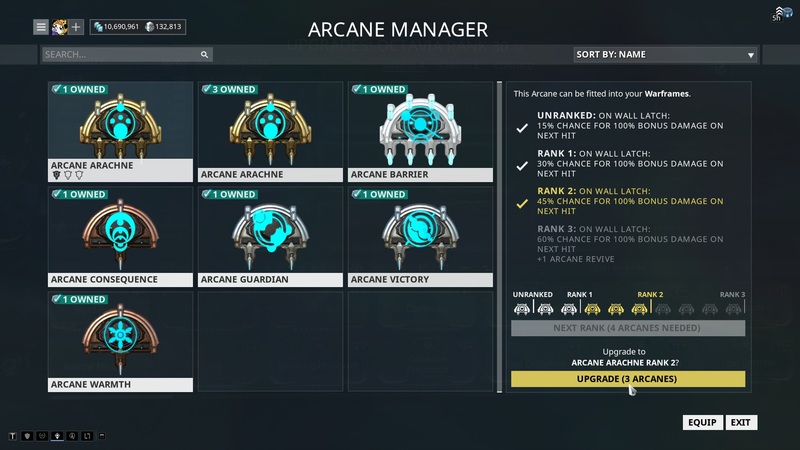 The ‘NEXT RANK’ button will appear grayed out if you do not have the required amount of Arcanes to proceed to the next rank. 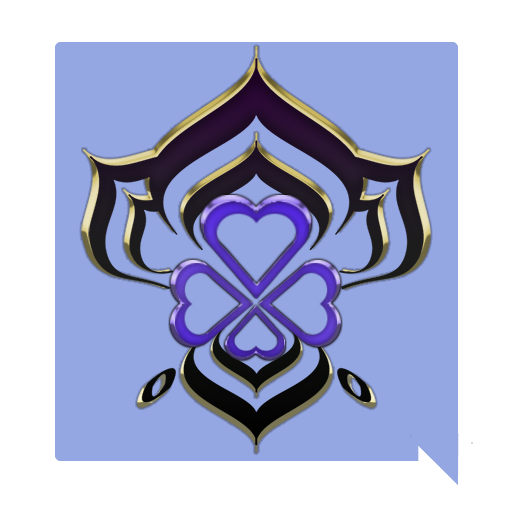 Changed the Arcane Rank indicators to be Arcane icons instead of numbers. Fixed a crash that occurred when returning to Cetus after acquiring an Arcane. Fixed a crash that occurred when in the Dojo or a Relay. Fixed being able to equip a single Magus into both Arcane slots on your Operator. You must own more than one copy of the Magus in order to do so. Fixed Atlas only getting 50 Rubble from Petrified enemies when it should be 75. Fixed a case where you could equip 3 Arcanes on your Warframe. Fixed Beam weapons not doing damage if you ran Warframe at roughly 10 FPS or less. Fixed Beam weapons not being able to damage enemies affected by a crowd controlled Warframe ability for Clients. Fixed the UI locking up when equipping an Exodia on a Zaw. Fixed the UI locking up when Upgrading your Warframe and then changing your currently equipped Arcane to "none". Fixed Boltor Bravura Skin spawning multiple clips during the reload animation. Fixed Clients seeing incorrectly sized Pets when transitioning from Cetus to the Plains. Fixed commas removing placed text in Captura. Fixed ability to escape below the level in the Grineer Shipyards Spy tileset.